We have been successfully manufacturing, exporting & supplying all types of Roll Wrapping Machine, Stretch Wrapping Machine, Carton Wrapping Machine, Water Tank Wrapping Machine, Cloth Roll Wrapping Machine, Nylon Roll Wrapping Machine, etc. since last 25 years from Ahmedabad, Gujarat, India. We are winner of 3 times National Award and 2 times International Award for Quality manufacturing. 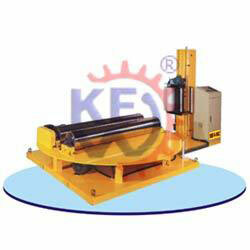 KEW Manufacturers, exports & supplies Roll Wrapping Machine with high production output & efficient function with more than 1000 installation in place all over India and overseas like Saudi Arabia, UAE, Dubai, Sharjah, South Africa, Nigeria, Ghana, Congo, Kenya, Zambia, Sri Lanka, Bangladesh, Malaysia, Pakistan, Nepal, Russia, Thailand, Indonesia, Brazil, Colombia, Venezuela, Argentina, Mexico, Canada, etc. 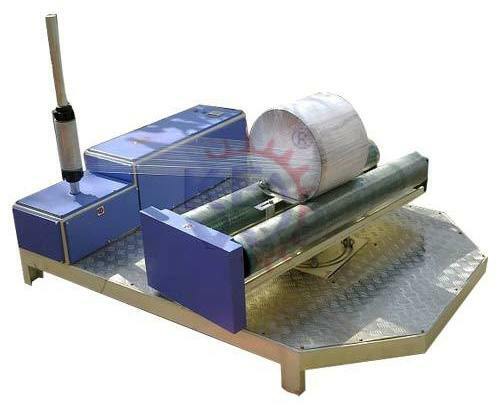 Krishna Engineering Works Manufacturers, exports & supplies Roll Wrapping Machine or Stretch Wrapping Machine with great precision to ensure perfect wrapping of all types of Wrapper Rolls, Confectionery Rolls, Biscuit Wrapper Rolls, Extruded Rolls, Printed Rolls. Etc.